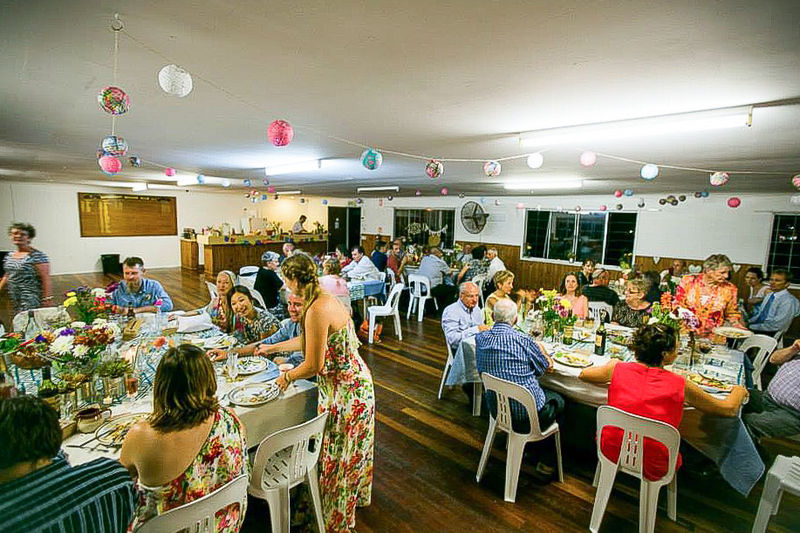 The Maroochy Sailing Club Hall is a beautiful venue for weddings and events. Set on the idyllic Chambers Island, it offers magical water views on both sides. The hall has a stunning hardwood floor and white walls that offer a blank canvas for you to decorate in your chosen style. 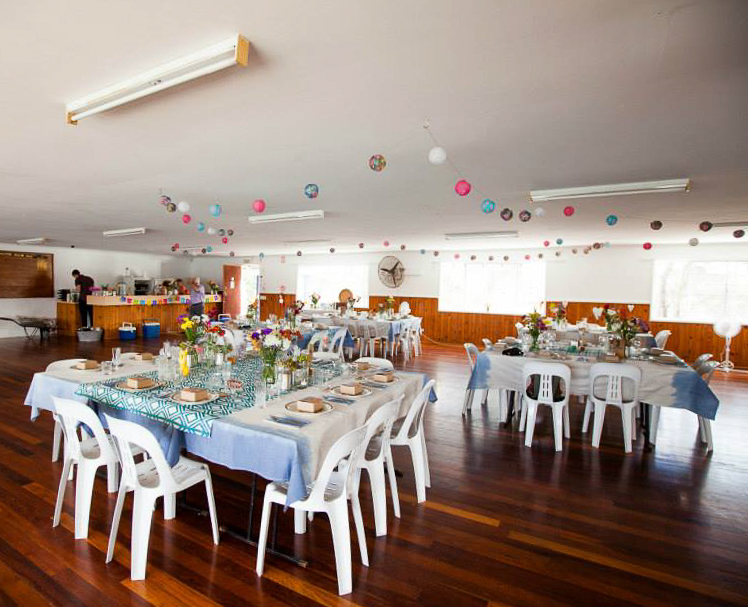 Our hall can accommodate up to 100 guests with tables and chairs included in the hire fee. Large serving bar area which is equipped with a large fridge, chest freezer, sink and lots of matching crockery etc. There are no cooking facilities in the hall, however we can recommend self-contained caterers or caterers that we will allow to use our club kitchen facilities. Toilet facilities are underneath the hall. You will be given sole access during your hire period. Access to a large trolley to help you bring your supplies over. We will look after rubbish removal from the Island. Please note that the hall is accessed by a pedestrian only bridge and unfortunately we have no disabled access. The hall is accessed up a set of 18 stairs. The hall is operated by a community association run by volunteers. We expect the hall to be treated with care and consideration for the future enjoyment of other users. $1,200 for 48 hours to allow for set up and pack down. Hire period is typically Friday midday to Sunday 11 am. Security may be required depending on the nature of the booking. This is at the club's discretion. $25.00 / hour (excluding Friday, Saturday and Sunday). $35.00 per hour (excluding Friday, Saturday and Sunday nights). Select their tab: Apply For A Quote. Select: Festival and Fair Public and Products Liability. You can make the relevant selection (Event-Wedding for example and cover your set up and pack down days as well) complete details and then proceed to payment which is approx $220. Maroochy Sailing club also offers a wide selection of health and fitness classes for you to enjoy. 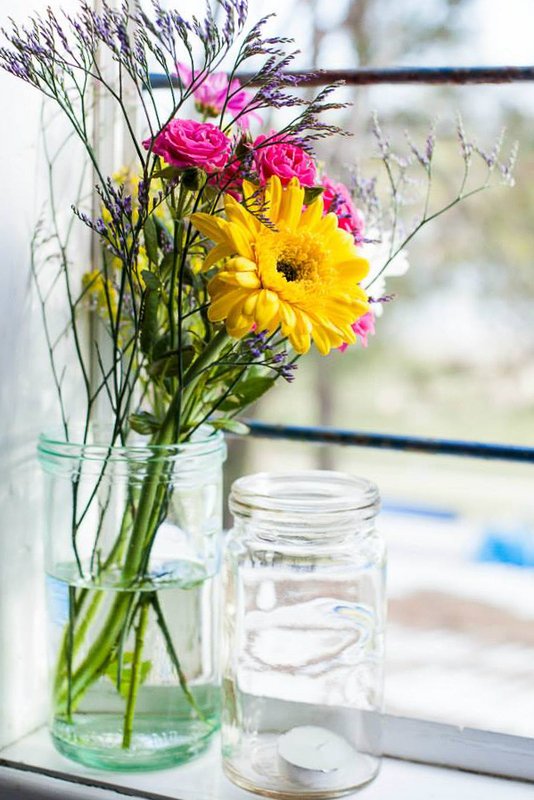 Come and join us to unwind and relax to the beautiful calming views whilst taking part in one of our Yoga classes. Or, why not come and be energised by one of our dance classes? You could even learn a new skill and take part in our Taekwondo class. We have a great variety of classes held in the hall, all taken by qualified teachers. Please see timetable for contact details. And…. If you see a space in the timetable that you’d like to hold a class, then just get in touch.